Available in Single, Dual, and Triple button. Please select your desired option above. The GateCrafters P220, 318MHz remote transmitter clips easily onto a car visor for convenient and quick entry. This remote has a range of 100 feet and simple dipswitch programming. The large easy to find button makes activation a snap and a handy LED light lets you know the remote is working. The dual or triple button transmitter is used to open multiple gate operators or a gate operator and garage door opener(s). Use this item in conjunction with the GateCrafters Garage Door Receiver so you can use your dual button transmitter for your garage door opener and gate opener. 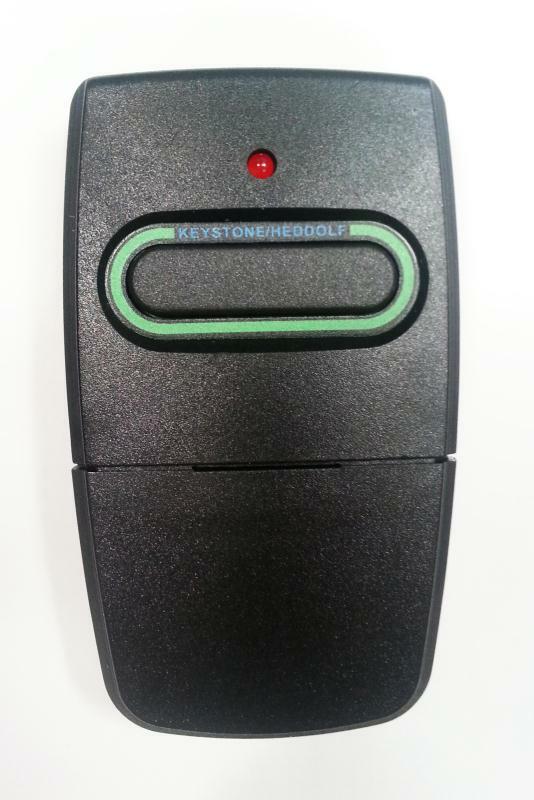 "The GateCrafters P220-1K single button transmitter is a must for your gate opener. It’s simple, reliable, and convenient. It clips easily to your visor so you never have to go searching through your glove compartment or middle console. Plus you can find the 9-volt batteries at any convenience store. Also at a size of only 2"x 3"x 3/4 inches you could easily carry it with you on a walk, bike ride, or any other non-automotive activity. The GateCrafters dual or triple button transmitter is incredibly convenient if you have two gates or want to have only one remote for your gate and garage(s). One thing we have discovered through testing here at GateCrafters.com is although the opener is rated by the manufacturer for 100 feet, in some situations it can even reach up to an impressive 250 feet from the receiver depending on conditions. The largest appeal of this accessory is its ease of adapting it to your system. To conform your new transmitter to your existing system simply open the battery slide cover and set the dip switches to the same settings as your current opening transmitter. Since you are buying from GateCrafters.com you have our full support. We will walk you through every step of setting up your new transmitter. We take great pride in knowing our accessories and understanding how they work. The P220-1K has been thoroughly tested by myself and my team and meets our high standards for recommended accessories."